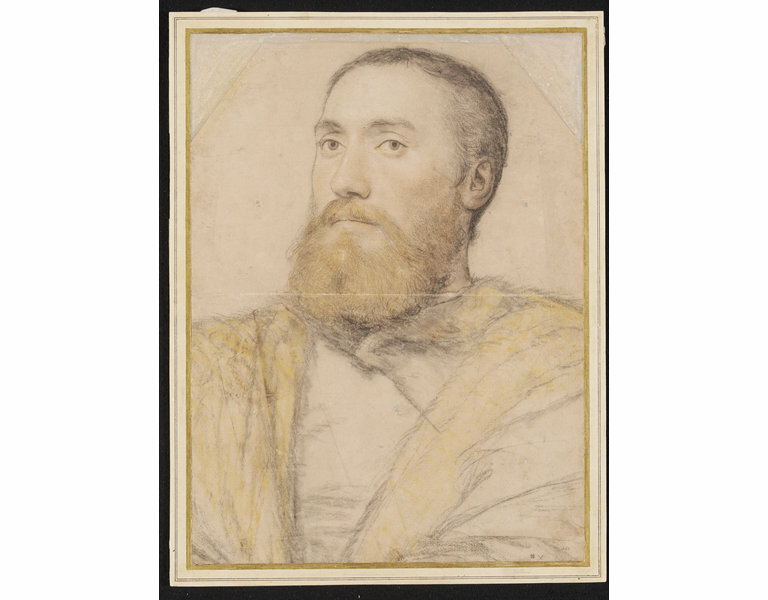 On the basis of comparison with an identified portrait miniature from Holbein's circle (National Maritime Museum, London; MNT 0137) it has been suggested (by Oliver, et. al. 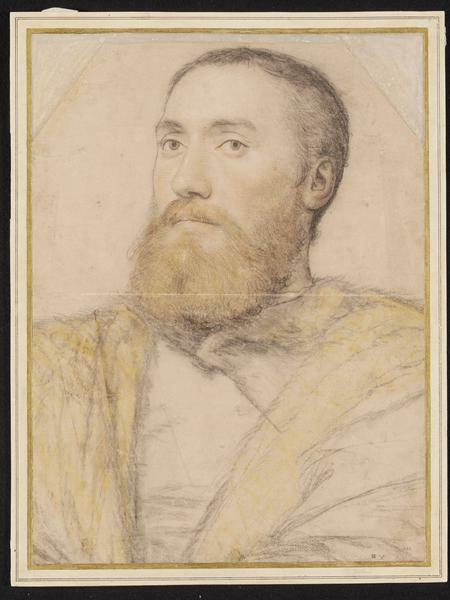 2006) that this drawing may be a likeness of Thomas Seymour (c.1508-49), the brother of Jane Seymour, Henry VIII's 3rd wife, who married Henry's widow Katherine Parr in 1547 and was executed for treason in 1549). Portrait, head and shoulders, of a bearded middle-aged man, bare-headed and wearing a fur collar. 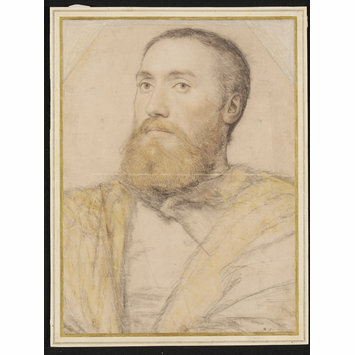 Three-quarter face, turned to left; Black and coloured chalks on prepared paper. Inscribed in pencil on the original mount. Height: 35.6 cm from catalogue., Width: 27 cm from catalogue. This drawing was formerly in the collection of Padre Resta and bears an unidentified mark, probably that of an English collector of the late 17th or early 18th century. Foister, Susan, Holbein in England, London: Tate Publishing, 2007. Lambert, Susan. Drawing: Technique & Purpose. London: Victoria & Albert Museum, 1981. p.21.